Current Film: ‘Beti’ in ‘The Current War’ starring Benedict Cumberbatch and Michael Shannon, directed by Alfonso Gomez-Rejon. Recent Film: ‘Matron’ in ‘55 Steps’ starring Helena Bonham Carter and Hilary Swank, directed by Bille August. LIZA ROSS is an accomplished actress and voice-artist based in London. Liza gained a BA in Honours English at the University of Toronto and trained for an acting career at the Bristol Old Vic Theatre School. Her film work includes Leap Year, Batman, and Return to the Secret Garden. Her many TV appearances include At Home With the Braithwaites, Emmerdale Farm, Happy Birthday Shakespeare and After the War. She has appeared in the theatre in repertory, the National Theatre and the West End, and made a video appearance in the Theatre Royal Haymarket production of When Harry Met Sally. 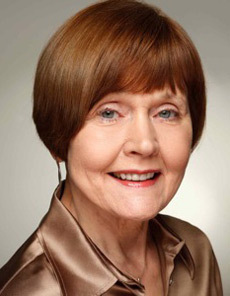 For BBC Radio, Liza has played leading roles in over a hundred radio dramas, such as The Grapes of Wrath, The Stone Diaries, and Ah Wilderness, as well as narrating many novels and stories. A prolific and award-winning narrator of audiobooks, Liza recently won an Audiofile Magazine Earphones award for The Marvelous Land of Oz (Naxos). Her extensive work in the voice field includes voice-overs, animation, and post-sync work for films. Liza is a co-director of The Story Circle audiobook production company. She is married to actor and producer Garrick Hagon.